A fourth solid major studio horror film in 2016 and it’s not even September, unheard of in horror over the last few years. Yet here we have Don’t Breathe, the home invasion film that’s spun on its head and somehow manages to do almost everything correctly. Don’t Breathe is the ideal close to a disappointing summer and hopefully a sign of things to come for the rest of 2016. Rocky (Jane Levy), Alex (Dylan Minnette) and Money (Daniel Zovatto) are three Detroit thieves who get their kicks by breaking into the houses of wealthy people. Money gets word about a blind veteran (Stephen Lang) who won a major cash settlement following the death of his only child. Figuring he's an easy target, the trio invades the man's secluded home in an abandoned neighborhood. Finding themselves trapped inside, the young intruders must fight for their lives after making a shocking discovery about their supposedly helpless victim. Like most every horror, the premise is simple. The kids are robbing houses and their target ends up being tougher than expected, a lot tougher. There is reasoning and motivation behind these kids’ actions and seeing the ease they have on other houses shows they’re no joke. But when things go wrong and the home invasion flips around to make them the victim, the story really becomes a survival story that works tremendously well. The key to any horror film moving from just okay to good or even great is the performances. The kids give solid performances and throughout the film all illustrate the terror of the entire situation with very little dialogue. It’s a credit to their acting abilities, and the writing, that every action they take feels real and smart in ways that other films don’t. But by far the best performance is Stephen Lang as the unnamed blind man. To go from feeble old man to absolutely terrifying trained killer in seconds is tremendous and his lack of dialogue gives him a form of mystery, which only makes him even scarier. Each character has clear motivations that grow and change as the movie progresses with a scene or line that actually moves things forward. If ever a movie had a perfect title, it’s Don’t Breathe. Not only does it reference the characters and their constant hiding from their stalker, but also for the audience as they experience about 80 minutes of suspense over the course of an hour and half runtime. Director Fede Alvarez really nails down suspense from start to finish by heightening and dulling the senses of the audience and characters. Each twist and turn is better than the last and ultimately drives home the entire film’s effectiveness as a thrilling and intense film. Overall, Don’t Breathe is a great horror film. It’s rare to see so many truly good horror films and Don’t Breathe may just be the best of them all. The characters and their actions all make sense within the context of the film and the terror of the entire ordeal is stupendously haunting. By removing sound or sight at times, Alvarez creates an experience that captures and captivates to the point where you can’t help but actually hold your breath. 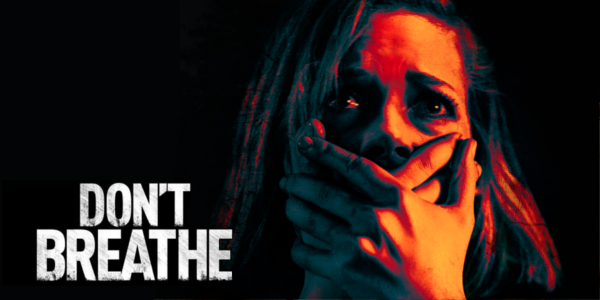 So are you excited for Don't Breathe? Are you going to see it this weekend and what's been your favorite horror movie of the last few years? Subscribe, share, comment below, and as always return to I Am Sam for weekly reviews and insight.